The name Evander has two possible backgrounds. The first comes from the Latin Evandrus which comes from the Greek Ευανδρος (Euandros). This means "good man". This background is the most widely accepted on baby naming sites. The second possible origin says that Evander is the anglicized form of Iomhar which is the Scottish from of Ivor. Ivor comes from the Old Norse name Ívarr meaning "bow warrior". Ivor was carried into Great Britain by Scandinavians in the Middle Ages. 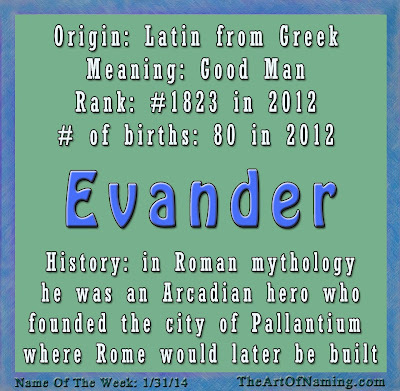 According to Behind the Name, in Roman mythology, Evander was an Arcadian hero who founded the city of Pallantium where Rome would later be built. He was responsible for bringing the Greek pantheon, laws and alphabet to Italy. 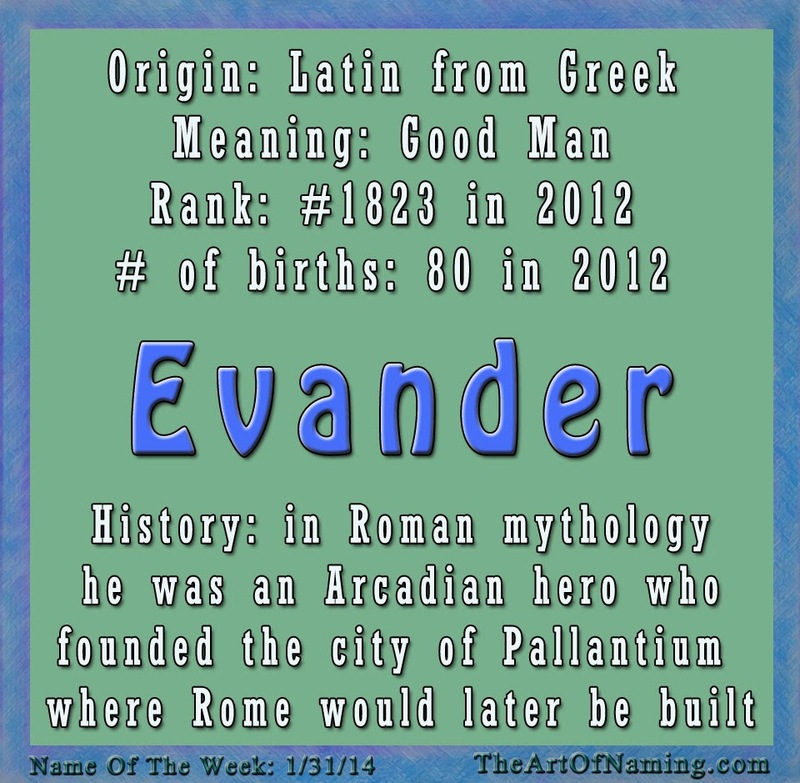 This Evander also appeared in Virgil's Aeneid, a Latin epic poem written between 29 and 19 BC. The most well-known modern-day association with the name Evander belongs to boxing champ Evander Holyfield. There is also a Canadian hockey player named Evander Kane. Beyond myths, literature and athletes, there are actual babies given this name. 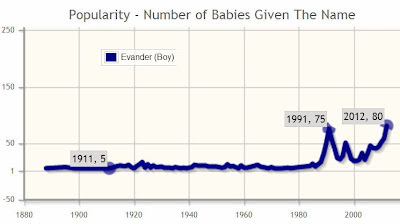 In the US, Evander first appeared in 1888 with 5 births but was rarely used until it gained a more regular momentum in 1911. The number of births per year remained near single-digits until the late 1980s. Evander got as many as 75 births in 1991 for a ranking of #1297 but the numbers declined again after that until hitting a record-high of 80 births in 2012 for a ranking of #1823. It is still very far off from the Top 1000 which makes it a rare but familiar gem. Evander would fit right in with Xander and could potentially be called Evan for short. If you're not a fan, try the similar sounding Leander instead! This name list mostly contains Greek and Roman deities and legends, but there are mythological figures from various other origins as well. Whether or not you believe in mythology is your own choice. Personally, I do not. I like to think of them as fables passed down through the generations. But I do find these stories to be very fascinating, especially the names that come from them. 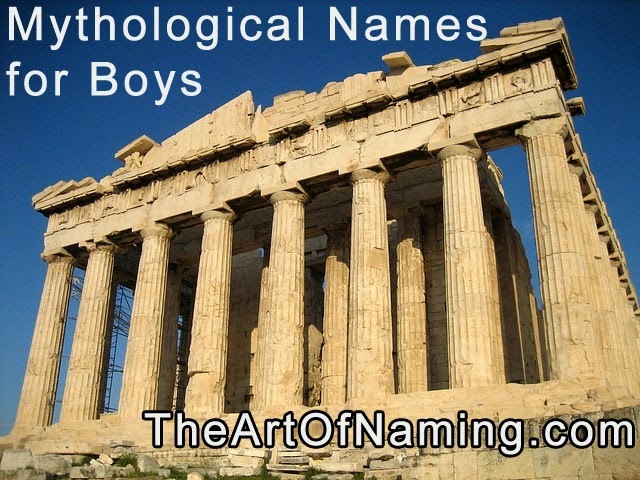 Don't forget to check out the Mythological Names for Girls too! 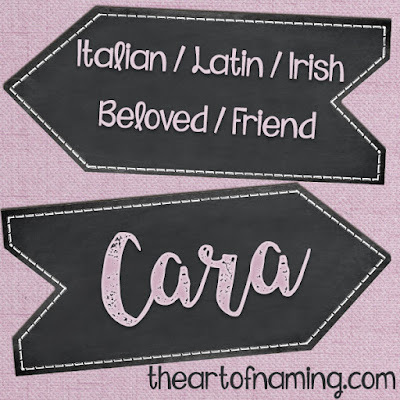 The name Cara comes from an Italian word of endearment that means "beloved". In Latin, Cara means "friend" which is also true for the Irish Gaelic origination. However, the Spanish word cara means "face" and the word kara means "dark" in Turkey. On the Isle of Man, in traditional baby naming books, Cara referred to "a songster". My name is Kara and I pronounce it CARE-uh. Most people that I meet initially say CAR-uh, though, which is something to ponder. Behind the Name gives three different pronunciations for Cara: KAHR-ə (English), KER-ə (English), KAH-rah (German). Baby Names Hub has an extensive list of comments from ladies named Cara who have shared their experience with the name and its [mis]pronunciations. Many of them also mentioned how often this name can get confused for Sara, Tara, Clara, Karen or Carol. Keep that in mind if you are considering this name. Variants of this name include Kara and Karaugh; diminutives include Carina and Karyna. Cara can also be used as a short form of Caroline and Charlotte. Cara has been used in the US since 1882 but it did not gain popularity until the 1950s. It boomed once the 1970s hit and it enjoyed the ride until it began declining again in 1994. Presently, Cara is down to just 402 births for the year 2012 which ranks the name at #695. The name Kara wasn't used in the US until 1931 but it actually caught on a couple years earlier than Cara and has continued its popularity ride up until it finally began to decline in 2010. As of 2012, Kara is still ranked higher than Cara. Kara had 850 births and sits at #365. Revision: As of 2016, Cara ranked at #807 with 350 births for the year. Kara ranked at #498 with 622 births. Right now, the K is the favored spelling. Do you pronounce these the same? Which name do you like more? What middle name would you pair with them? The Isle of Man is an interesting little island situated between Ireland, Scotland, England and Wales. English is spoken there but Manx Gaelic was traditionally spoken in the past. This Celtic language is closely related to the Irish language as well as Scottish Gaelic. However, Manx Gaelic is now considered endangered of dying out. It was thought to have died out in the 1970s but some are trying to revive it today. Over the centuries, the Isle of Man has been under Welsh, English, Scottish and Viking rule but it now has its own democratic parliament. Culturally, it is influenced by Celtic and Nordic origins but it is viewed as a tourist location for the UK which gives it some British influences as well. "When a child comes into the world, the first thing done (now in our own days) is, if it is a boy, to wrap it in a singlet or pair of flannel drawers of its fathers. If a girl, in a flannel petticoat of its mothers and so soon as it is put in the cradle, a Bible and a pair of flannel drawers are laid on the cradle, and the same on the mother's bed. Neither mother nor child is ever let out of the house until the christening day, and then, before going out, a bit of vervain is sewed into the child's under-clothing and also into the mothers. A little bit of soot is also put on the child's person, and a bright steel sewing-needle quilted into some part of its clothes. Great care is taken that the name which the child is to receive is not made known to any person except those who have to know, until after the christening. The future of the child depends in a great measure on whether the stranger who firsts sees it, after its father has got the first look, is a "lucky" person or not." So it appears that the Manx put great emphasis on guarding the baby's first encounters with those outside the home and viewed it in an almost superstitious way. The baby's name was also guarded and not revealed until the baby was christened, so clearly religion was a large factor as well. Of course there are other names beyond these traditional ones that are in use on the Isle of Man. 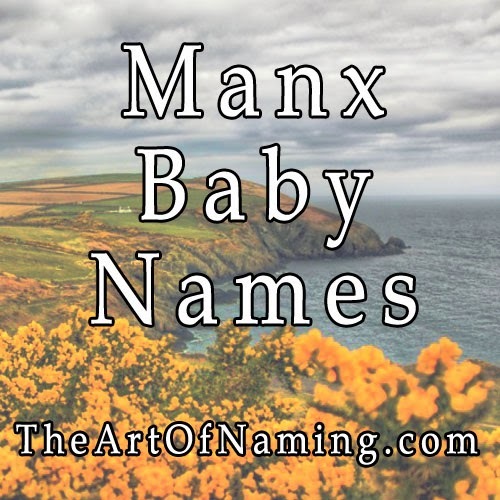 Names that are popular in the UK are also seen on Manx babies due to a rich, cultural mixture of English, Irish, Scottish, Welsh and Norse influences on the island. As you can see, there seems to be more popular British names in use today than traditional Manx names. 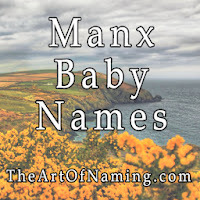 If anyone has access to a list of the Top Baby Names on the Isle of Man for the years 2012 or 2013, please share! What do you think of the naming traditions of the Isle of Man? Which traditional name is your favorite? [Note:] I only recently discovered that this island even exists so if I've gotten any information incorrect, please let me know! I consulted as many sources as I could find that pertained to babies and names for the island. The name Ramsey was originally a surname. It comes from a place name meaning "wild-garlic island" in Old English. I came across this name as the name of a town on the Isle of Man. This month's World Wide Wednesday will focus on Manx names. Ramsey is also spelled as Rhumsaa in Manx. According to Behind the Name, Ramsay is a variant of Ramsey. It is used mostly in Scotland as a surname. 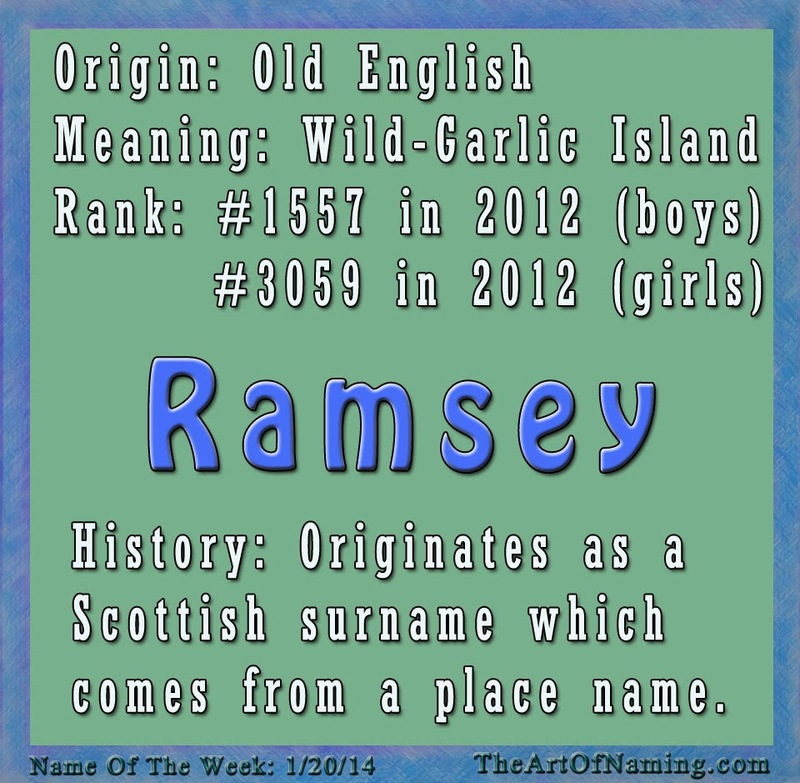 According to Nameberry, Ramsay is English and means "low-lying land" but Babynames.com says that Ramsay refers to Raven's Island. Clearly there are some meaning discrepancies around the internet, but despite these two names being so similar, it does appear as though they have different meanings. The Baby Name Wizard says that Ramsay is a variant of Ramsey and that they are both Scottish surnames that originate from several different place-names. I already mentioned the town of Ramsey on the Isle of Man, but it is also said to come from either Hræm's Island, Ram's Island or Ramm's Island. If anyone has more specific information, do share! The name Ramsey first appeared for American baby boys in 1894 with 7 births. It actually ranked at #933. It wasn't seen again until 1910 with 5 births and it became regularly used after that. Ramsey popped up on the girl's side in 1965 with 5 births and is still in use now with 55 births in 2012 for a ranking of #3059. Boy Ramsey began gaining more popularity in the 1970s with its high point being in 1997 with 134 births and a ranking of #976. 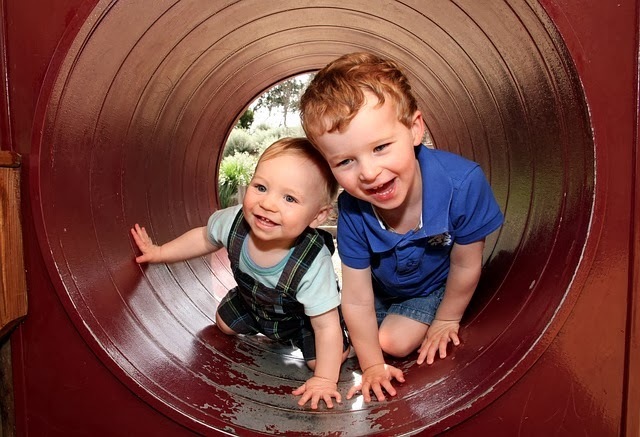 In 2012, Ramsey was given to 101 baby boys and it ranked at #1557. It is very nearly a 2:1 boy:girl ratio. I never realized how unisex it is because I've always viewed it as a masculine name. I think Ramsey looks better for a boy and Ramsay would be cute on a girl, however there have only been 29 females named Ramsay in US history, and Ramsay is much less popular for boys than Ramsey. Just compare the two! Which spelling do you prefer? What would you pair with this name? Girl's first name starts with either A, C, E, or G.
Girl's middle name is either a botanical name or a quirky and unusual name. 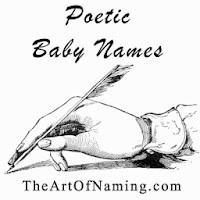 Boy's first name starts with either B, D, F or H.
Boy's middle name is either an old-fashioned, vintage name or a literary name. Her first name starts with either I, K, M, or O. Her middle name is either an ancient name or something virtuous. His first name starts with either J, L, N, or P.
His middle name is either an occupational surname or a colonial choice. Have fun! Thanks for playing! 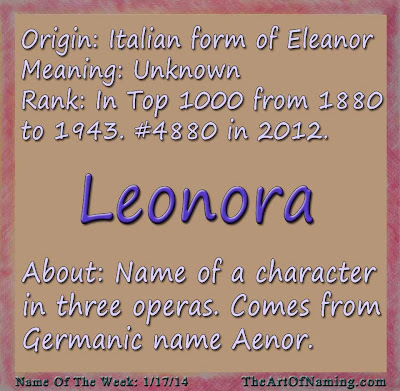 Leonora is the Italian short form of the name Eleonora or Eleanor. It comes from the Occitan name Aliénor which comes from the Ancient Germanic name Aenor. Its meaning is unknown. Check out the family tree to see which other names are related! 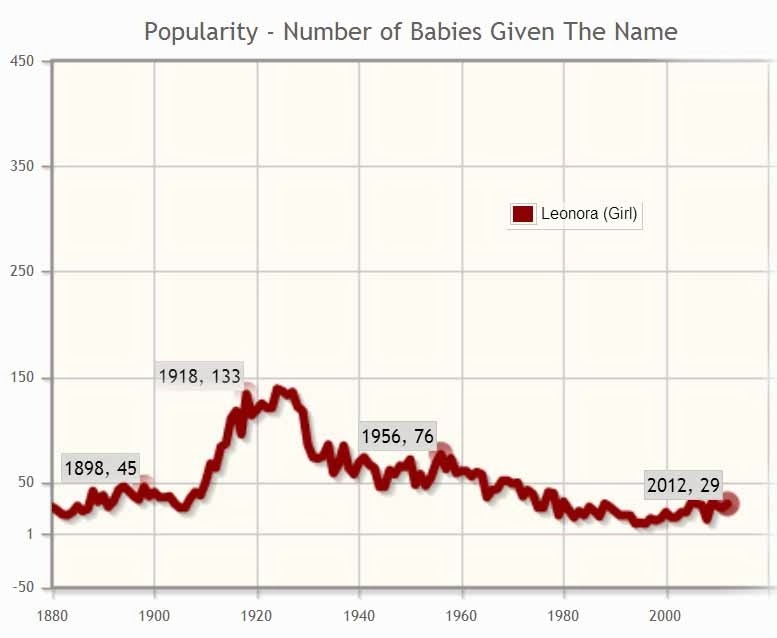 With boys names like Leo, Leonard, Leonardo and Leonidas starting to gain more and more popularity, could this feminine "leo" name follow suit? She is not related to these leonine names but she does start with the same three letters. Even if Leo is more of a boy thing, Leonora could go by Leo if she's tomboyish. It could also be spelled Leanora to get the Lea nickname instead. But the adorable nickname Nora is always a great option! With Eleanor making strides, I don't see why Leonora couldn't follow! 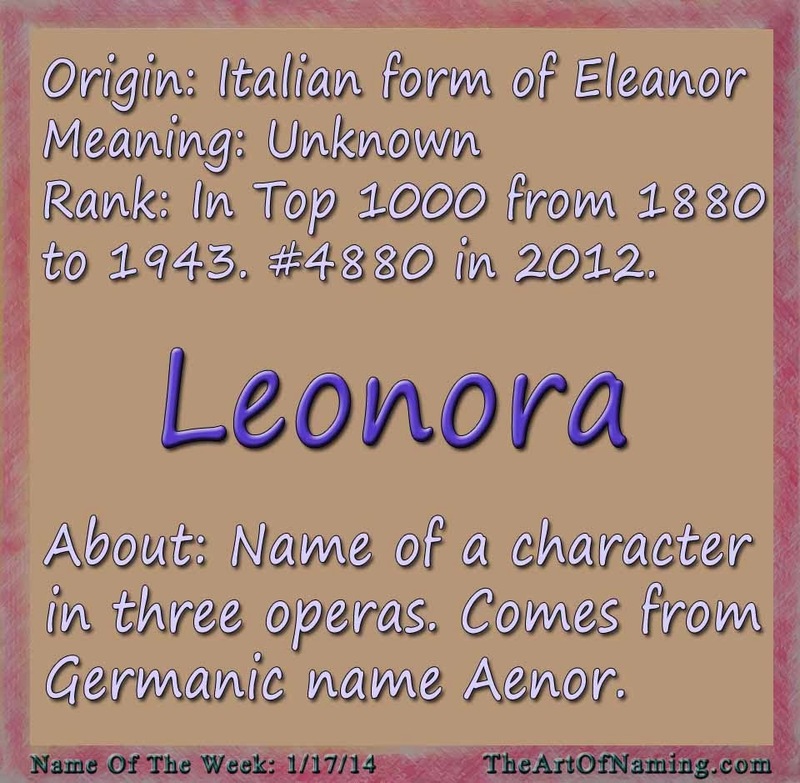 In line with this week's post about operatic baby names, Leonora is a distinctive choice. She has appeared in three major operas! She was a heroine in both Beethoven's Fidelio and Verdi's Il Trovatore. There was also an opera titled Leonora by William Henry Fry, and a ballad by Gottfried August Burger called Lenore which is another form of Leonora. Along with a few novels with this name as the title and a few characters in film, Leonora is a great historical and cultured name. 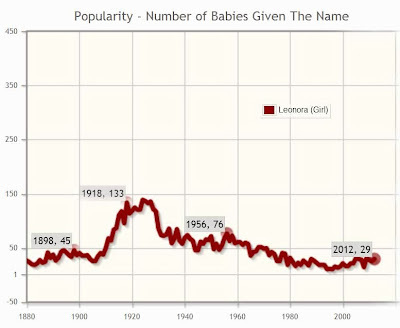 This name ranked in the Top 1000 US Names from 1880-1943 but has since lost its luster. As of 2012, there were only 29 girls given this name which ranks it at #4880. Leonora would be a beautiful and unique choice for a modern baby girl! What would you pair with this elegant name? The Opera. What do you think of when you hear those words? I picture a magnificent stage surrounded by flowing red curtains. Rows and rows of seats and balconies high in the air overlooking the stage. The music and costuming are spectacular. Everything about the opera is high-culture and high-class. 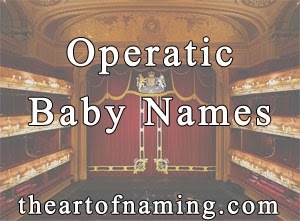 That includes the baby names that are most frequently associated with the opera. In fact, this list contains just that! With such a wide variety of names to choose from, which is your favorite? What are your favorite names from the list? Are there any that I should add? 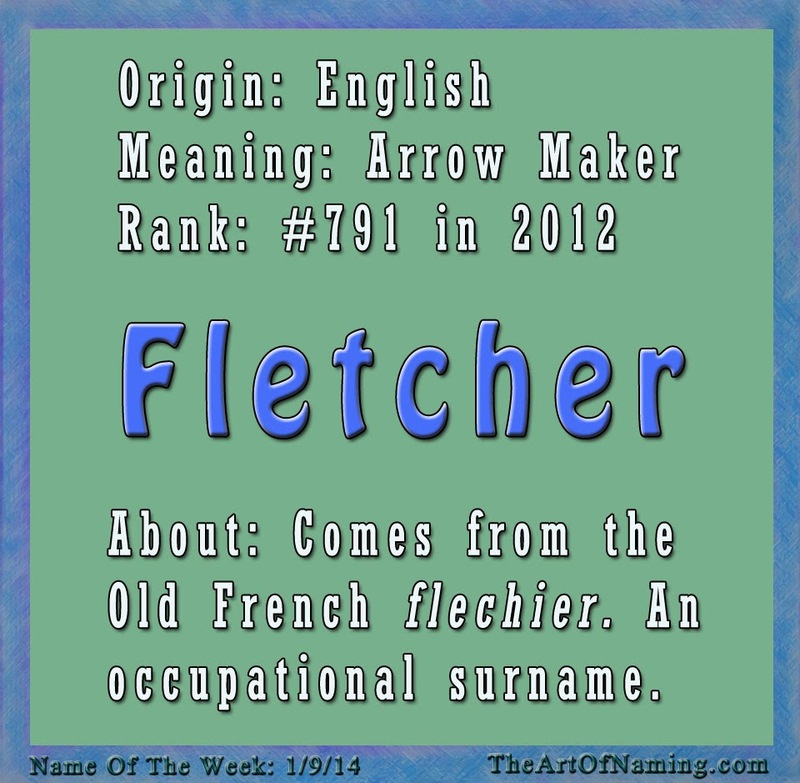 Fletcher is originally a surname that refers to a person who fletches arrows as their occupation. 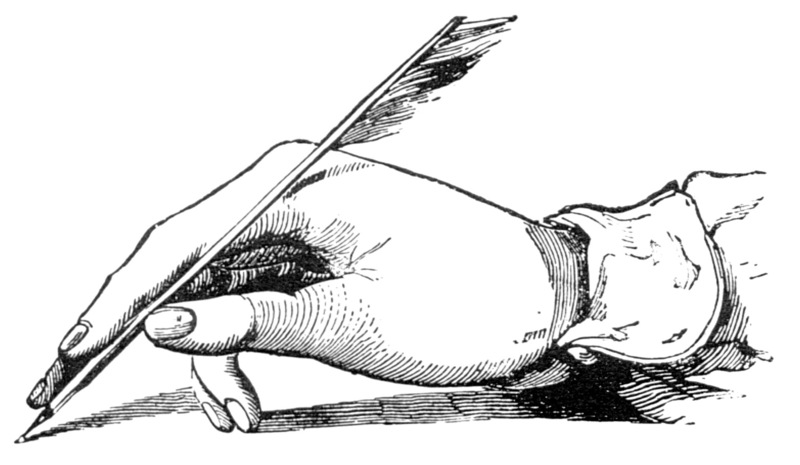 It is a Middle English name meaning "arrow maker" which comes from the Old French flechier. It is a surname but it has a tough, masculine feel to it with a bit of unique quirkiness added in. Following this week's post about names inspired by poetry, there was a poet named Thomas Fletcher (1666-1713) who was also a priest of the Church of England. John Fletcher was a Jacobean playwright (1579-1625) who took over Shakespeare's role as the house playwright for the King's Men. Click here to view many more famous namesakes including several fictional characters named Fletcher. This name has been in regular use since 1880 in the US. It had a boost in popularity in 1914 that lasted through the early 1950s before it declined again. However it was in the top 1000 names from 1880-1971, and 1985-1986. The year 1998 saw another boost, catapulting the name back into the Top 1000 in 2003 at #991. 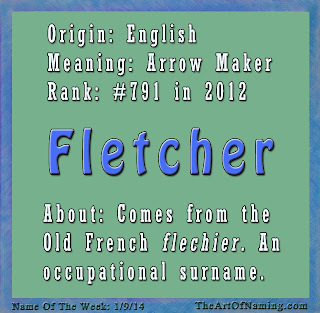 In 2012, Fletcher saw 283 births which put the name at a ranking of #791. It fits right in with other occupational surnames like Carter (#36), Hunter (#45), Tyler (#50), Parker (#80) and Cooper (#82). Fletcher currently ranks at #220 in England/Wales. There is something about the surname of poets that just happens to be, well, poetic. 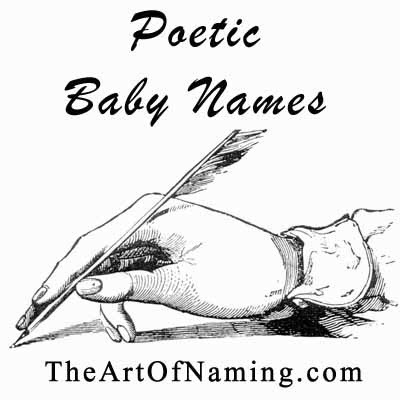 Not only do they have a way with words, but these poets have also left us some amazing baby name options to choose from! Whether you studied poetry in school or just secretly love it, these names might just be what you're looking for! There are also a few words included that are related to poetry. Below this list, I have chosen my Top 5 favorites that I'd love to see on a modern baby and listed out potential sibling names and middle names. 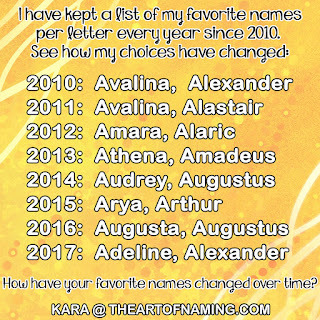 If you'd like to share what your favorite names are (or if I've missed any that should be included) please do so in the comment section! What are your favorite Poetry Names? The girl name Cordelia is a lovely, elegant and unique option! With nickname possibilities like Cora, Della and Lia, it is both cute for a baby and beautiful for a woman. 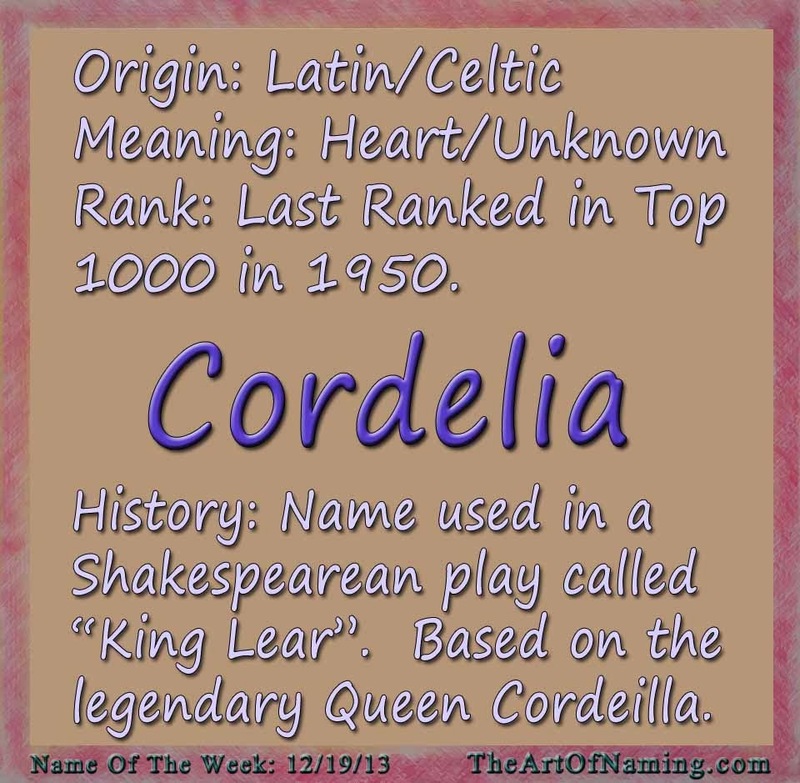 The name Cordelia comes from Cordeilla which is a Celtic name with unknown meaning. However, the name is often associated with the Latin word cor or cordis which means "heart". Some sites also say that it means "Daughter of the Sea". So I suppose you can take your pick of meanings! 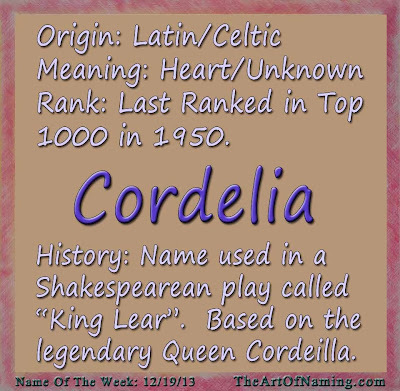 Based on the legendary Queen Cordeilla, she was a character in Shakespeare's play King Lear written in 1606. He altered the spelling from the original Cordeilla to the modern Cordelia. In the play, she was the youngest of King Lear's three daughters and the only one that remained loyal to him. Another literary reference to the name comes from the heroine of Anne of Green Gables who said "I would love to be called Cordelia. It's such a perfectly elegant name." This name has been in regular usage since 1880 in the US. It received a small boost in popularity from 1915-1927 before slowing down a bit through the rest of the century. Right around 2002, the name once again gained a slight boost. In 2012 there were 204 baby girls given the name which puts it at a ranking of #1196. 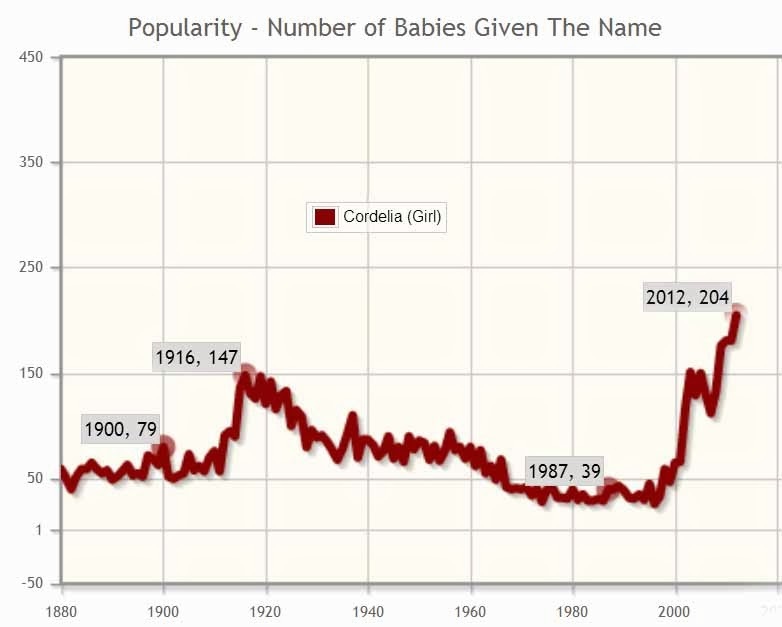 The name has not been in the Top 1000 since 1950. So while this name is familiar, it is still in unranked territory which makes it delightfully underused. Your child would be unique among her peers but also have plenty of history behind her name. I would call this name adorably elegant.